These Conflict where from Tucson Arizona and had a female singer. They released this demo in 1982 and an LP in 1983. Unfortunately my tape only has the first four songs of this demo. Sound quality is excellent. 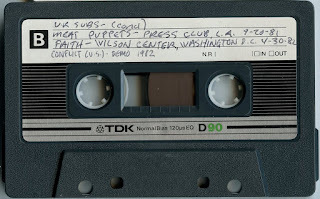 I think it´s only the a-side of this tape.